The Esse at Singha Complex is a condominium project developed by Singha Estate. It is currently under construction with estimation completion planned in 2020. 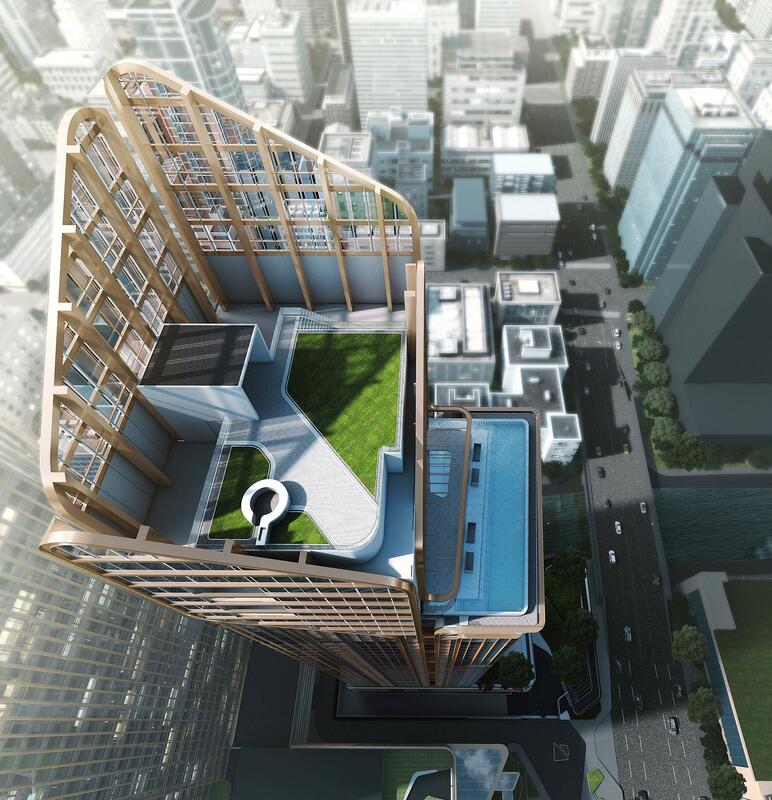 It comprises of one building, having 319 units on 39 floors. 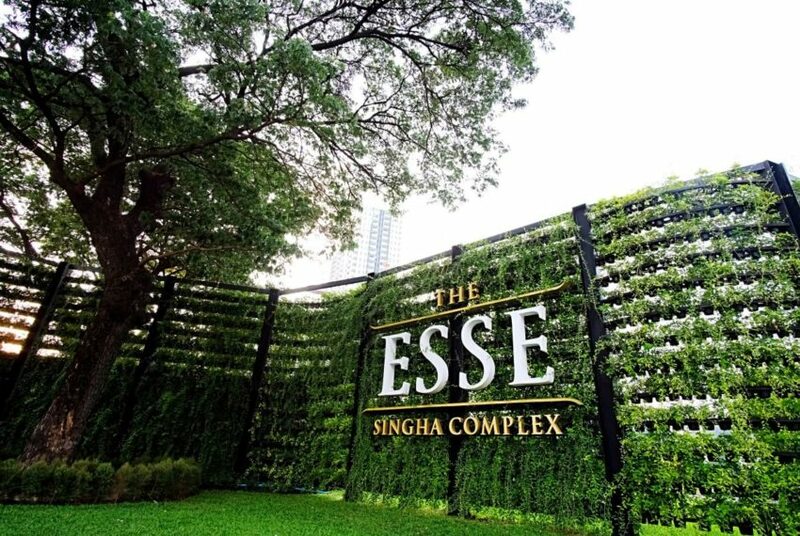 The Esse at Singha Complex, as the name might suggest is being developed by Singha Estate PLC., a part of Singha Corporation. Singha Corporation is a listed company that got their start making the world famous Singha Beer. Today the company has expanded into a multitude of industries, property being one of them. 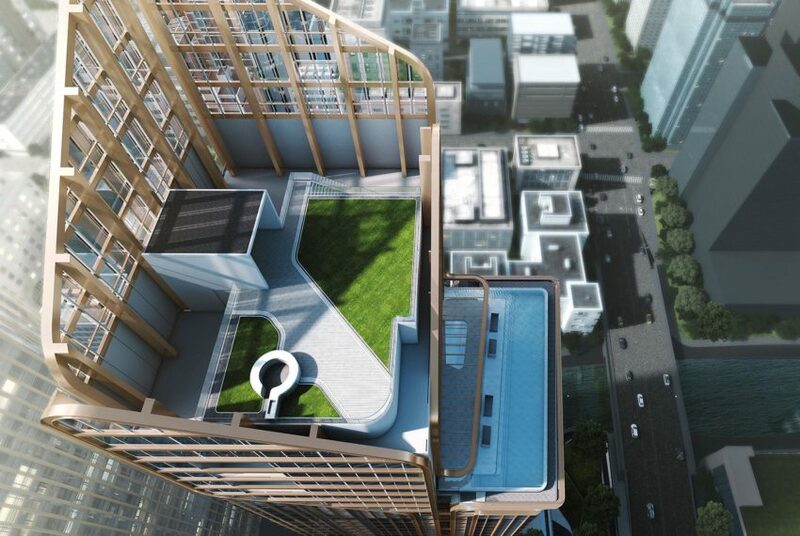 The first residential project was The Esse at Asoke which is currently under construction. 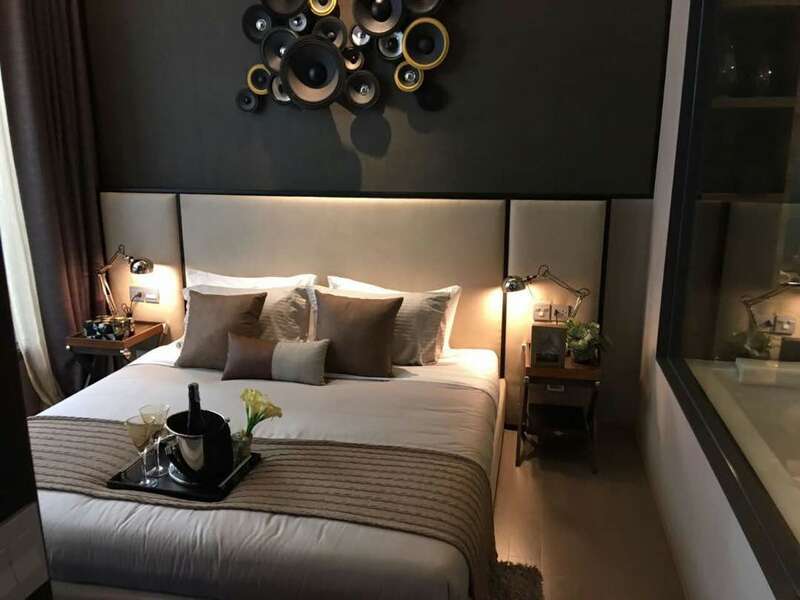 Even though Singha Estate PLC is relatively new to the Bangkok residential property market, having the resources of Singha Corporation behind them, buyers need not have any concern of the reliability of this developer. Mixed-use projects provide the potential for developers to address multiple concerns at once. Firstly, as the cap-ex on projects continues to balloon with the cost of land, having multiple types of product sectors in one project diversifies risk for the developers and investors. Secondly, it addresses the needs of buyers by using the concept of placemaking that allows residents to live, work, and play in one area and within walking distance of each other. The latter is important because it addresses a growing issue of commute time between work and home. With Bangkok traffic growing more congested, many buyers are looking to improve their work-life balance by reducing time spent traveling each day. 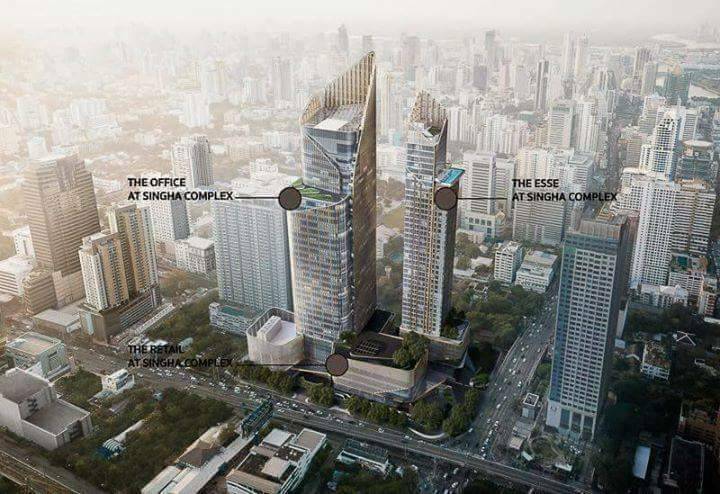 A mixed-use project with a mix of residential, office, and retail answers this need, which is exactly what The Esse at Singha Complex provides to both buy-for-use and investors alike. The mixed-use master plan project will be built on 11-1-24 rai (19,296 Sq.M.) of freehold land which comprises two main buildings. One building will contain the office and retail portions of the project while the other will contain the residential space. The office will feature grade-A office space with a gross floor area of 62,000 square meters. The high zone will hold 10,000 square meters of lettable area, while the mid-low zone will contain 40,000 square meters of lettable area. 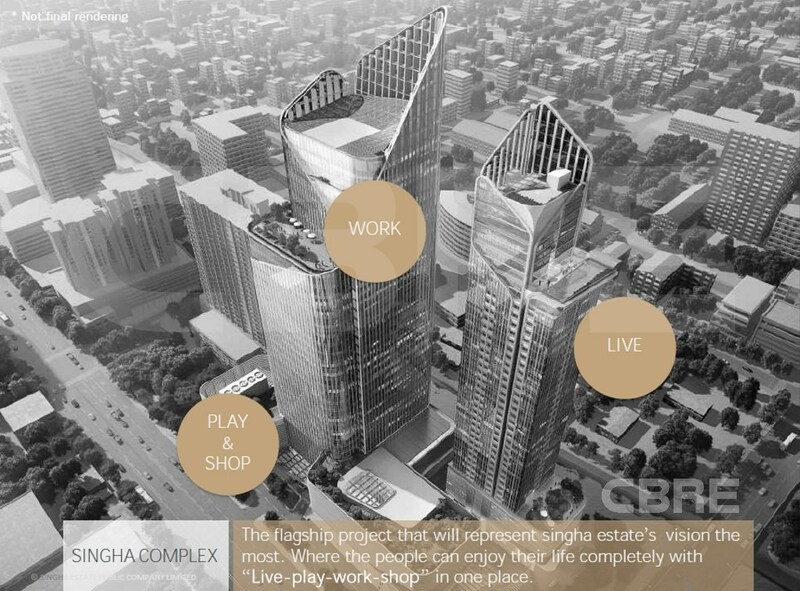 The retail space will be located in the low floors of the office building and feature a gross floor area of 11,000 square meters with a lettable area of 6,273 square meters. 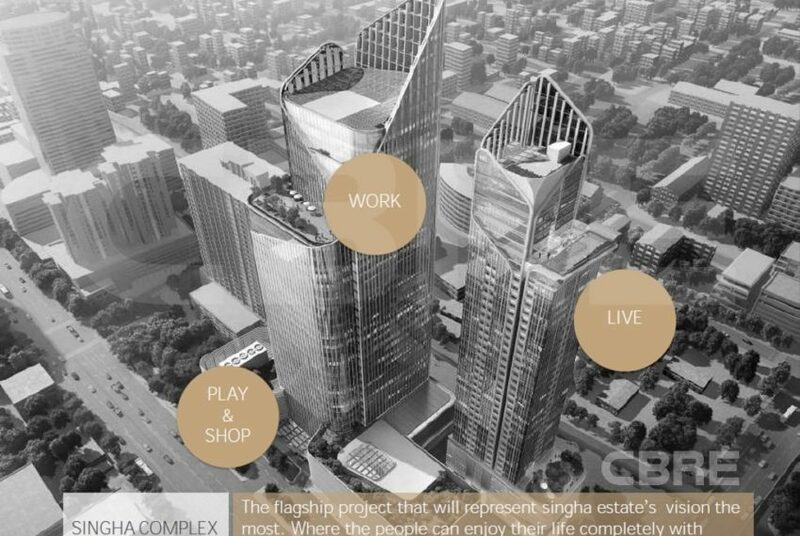 The project is situated on the corner of Asok Montri Road (north/south bound) and Petchaburi Road (east/west bound) giving residents easy access to all directions of travel from the project. Using Asok Montri Road, drivers can easily commute into the downtown, Sukhumvit area or head out towards the Ratchada area. They can also use the road to connect to Sirat Expressway (also known as the motorway 7 toll road), giving them easy access to the express way system. Using Petchaburi Road drivers can access another portion of the Sirat express way that gives them access to Dao Kanong and Chang Wattana area. Driving in the eastward direction will quickly get them to Thong Lor and Ekamai areas. 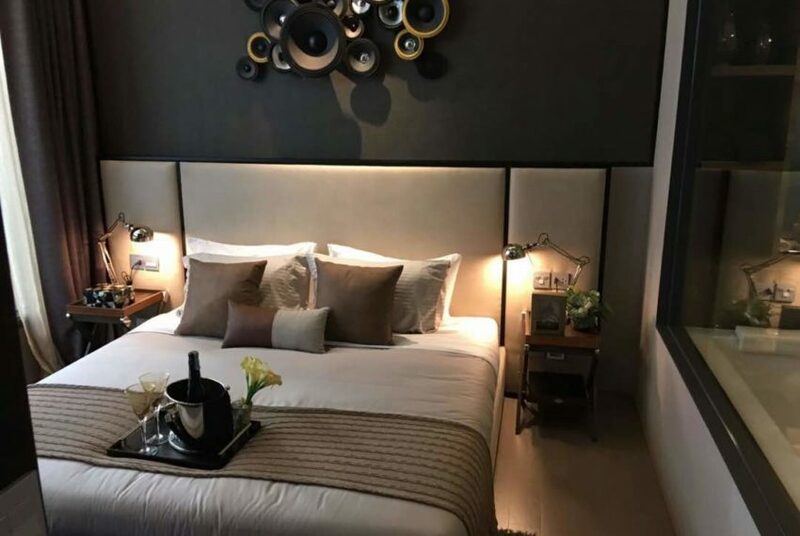 The uniqueness of the location is that it sits right between two business and retail districts of downtown CBD and the up-and-coming Ratchada business and entertainment district. 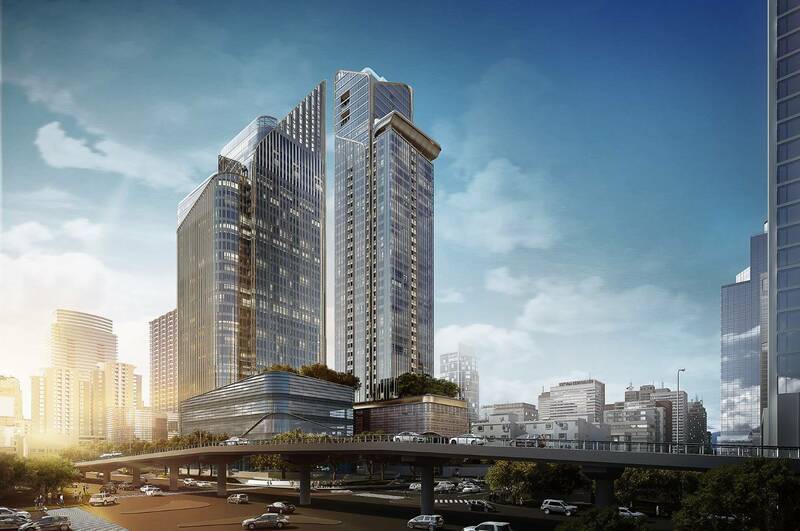 Another important thing to note is that this mixed used property will feature its own underground entrance to the MRT subway system from the office and retail center making traveling more convenient by foot. The location puts travelers one station away from the Sukhumvit MRT station where they can to the BTS sky train to go to other parts of the downtown area and is also only one station away from Rama 9 station where they can walk directly into Central Rama 9 and the Fortune Town electronics superstore. Furthermore, the property is connected to the Sansaab Canal that offers transportation via boat. The location should cater towards to the modern urbanite looking for a convergence location where they can live, work, and play—a place where they can spend more time living their lives, than traveling to the next destination. When it does come time to travel they will have options that reduce travel time significantly due to the projects location at the corner of an intersection and the MRT subway system. The complex is also close to major hospitals as well which alleviates concerns about access to healthcare facilities. Bumrungrad Hospital is only 1.7 KM away while Bangkok Hospital is 2.9 KM from the site. 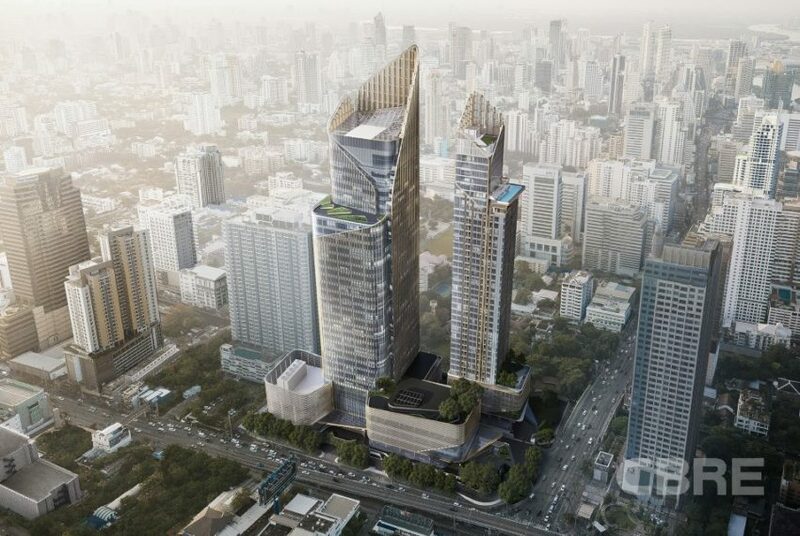 The Esse at Singha Complex is one of the few buildings in the Asoke/Rachada area that has targeted the luxury end of the market. The look of the residential condominium and office follows the same design language to keep uniformity in the complex. The developer wanted to ensure a sense of privacy in the mixed use project, so the condo residences is placed further inside the property with green barriers to ensure a sense of peacefulness for residents. While on the topic of green, the designers focused on the importance of a healthful environment that give residents space to rest both inside and out, and as a result they put much emphasis on park areas both on the ground floor and sky gardens. For example, the ground floor garden will have a privacy wall to separate the vehicle roundabout from the park, letting residents enjoy the garden while feeling a sense of privacy and safety from vehicles. Furthermore, the building layout was thoughtfully designed so that none of the units face the office building, which will give residents a sense of privacy while in their homes. 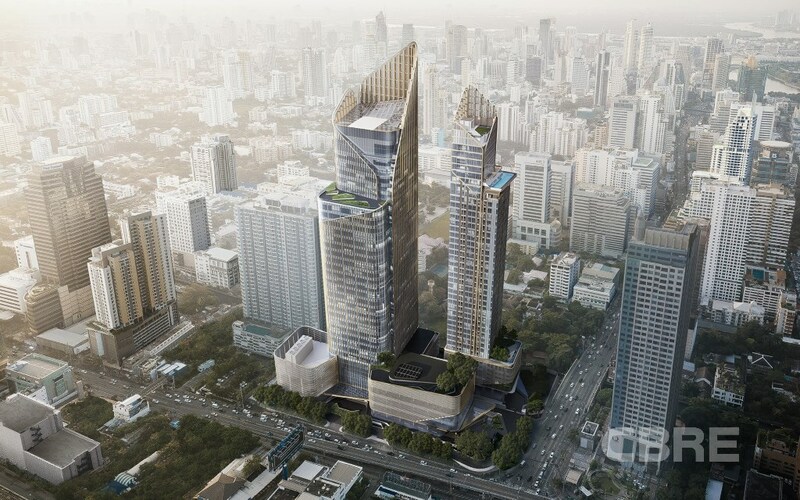 Mixed-Used Advantage: First of its kind in Bangkok. Designed from the start to be a project that includes office, retail, and residential all in one place, maximizing convenience for tenants and residents by converging different aspects of life into a live-work-play model of placemaking. 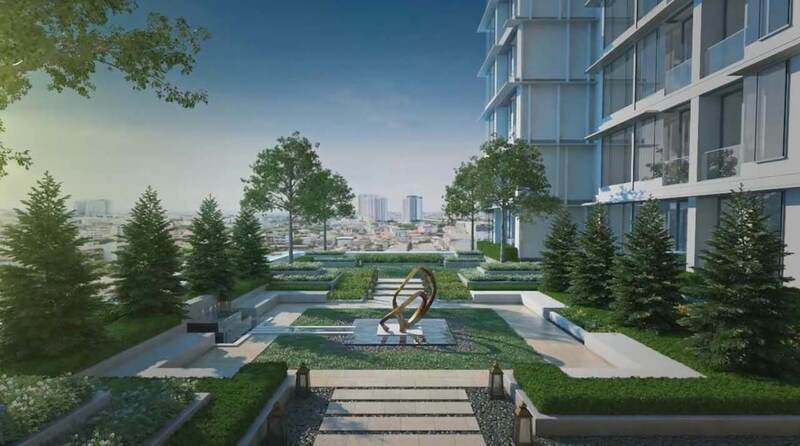 Location: Very centrally located between the CBD and the new expanding CBD area of Ratchada. The project is situated on a major intersection, allowing resident to travel conveniently by vehicle with convenient access to the toll way network. The project features a private MRT subway entrance on property that allows residents to access public transport easily for traveling without car. Only one subway station away from a major transit intersection where travelers can easily switch the BTS sky train network. Proximity to Amenities: In addition to having its own retail center for servicing patrons, the project is only one subway station from Terminal 21 to the south and Central Rama 9 and Fortune Town to the north. As a note, the airport rail link is only a few minutes away from the project as well. Furthermore hospitals and schools are within short distance of the project. 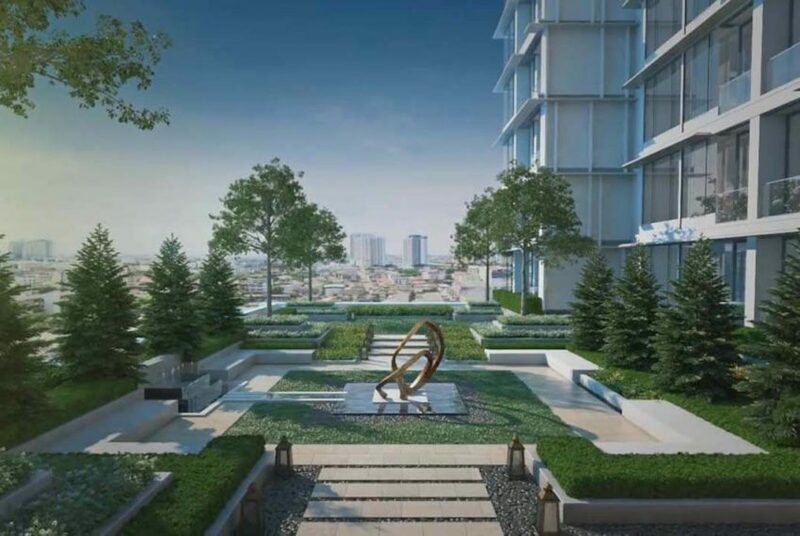 Close proximity to schools, hospitals, and lifestyle centers and shopping malls make The Esse an excellent choice for seniors looking for a convenient place to live in the heart of Bangkok and for students alike—which in turn make this project an excellent option for investors. Facilities: The leisurely park and garden areas combined with fully equipped health and fitness, and social facilities will make The Esse an excellent option for those looking to have a life in the compound of the project without needing to wander far for food and entertainment. 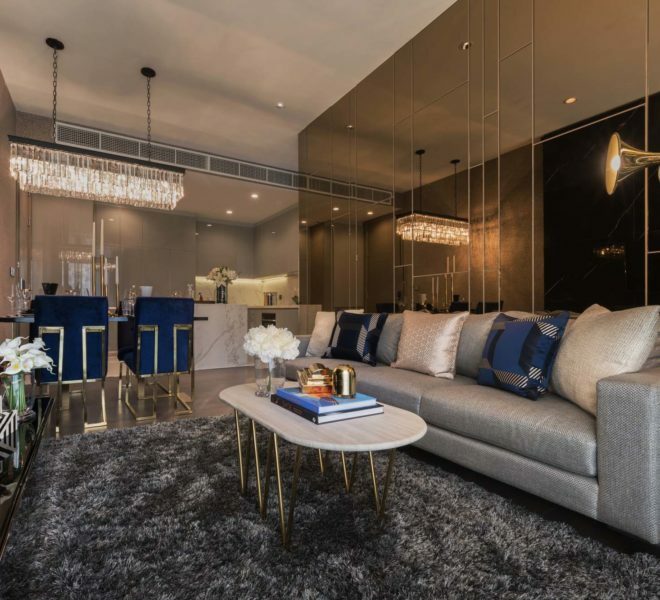 Add the convenience of bespoke concierge services to the mix and residents have the ultimate combination of a convenient luxury lifestyle in a central location in Bangkok. Complete Value Proposition: The whole package combined makes The Esse and excellent choice for residents looking for luxury and convenience while still enjoying privacy and comfort. For investors, this project represents an solid option as unit sizes are not too big making them affordable to rent with a yield, fully furnished means less hassle when prepping the unit for renting out, and lack of land of this size means that it will not be easy to create another project of this scale, meaning that availability of this type of project in this type of location will be very scarce. That should drive up the value of units in this project over time for both investors and personal use buyers.